The Town of Eastham is a coastal resort community straddling the arm of Cape Cod. 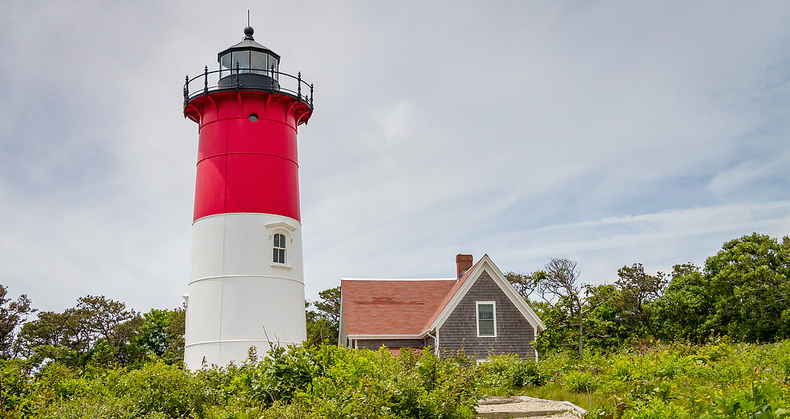 Located on the lower Cape, the town is bounded on only two sides by land, the other two being water, the Atlantic Ocean and Cape Cod Bay. Pre-colonial stands of oak and pine were long ago harvested for fuel and shipbuilding and the terrain of the town is now heavily saltmarsh and sand. Dissatisfied with Plymouth, in 1644 the directors of the Colony sent a seven-man delegation to scout Eastham for a new site for the center of government. The decision was not to move, but the seven members of the delegation brought their families and established a new town. The town has several harbors and these and the abundant shellfish are probably what brought these early settlers from the Plymouth Colony. The settlers' economy was based on agriculture, fishing and salt making, but Eastham's summer resort history began as early as 1830 when the Methodist Church established a summer camp meeting ground in town. The coming of railroad connections in 1870 stimulated local market gardening and Eastham specialized in cranberries and asparagus for the city markets. Eastham had cod and mackerel fisheries and oysters to ship north. The town's harbors were not as good as those of other communities in the area, so agriculture remained more important to the town in the 19th century than did maritime trades. Grain production was abundant enough to allow Eastham to export her grain, while industry was never a real factor in the town.